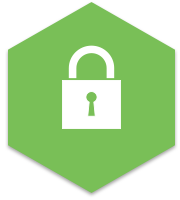 A vital security update will be released tomorrow (Thursday Oct. 22nd), and Joomla! users are advised to apply it immediately. Read the announcement on the Joomla! news feed. What's it all about, and why the secrecy? Reading between the lines, someone has discovered and reported a vulnerability in Joomla! core code that could allow hackers access to any sites using the CMS. This vulnerability may not yet have been discovered by anyone with malicious intentions, and giving away further details before the fix was released could make matters worse by publicising it to hackers. What do Zipfish site owners need to do about this? Nothing: we will apply the patch as soon as it's available. We can't do without Captcha on website forms, but nobody actually likes using it and every website owner will have received the odd tetchy 'is this really necessary?' email from users with a low frustration threshold. ReCAPTCHA 2 was released at the end of 2014, and it's a substantial improvement on the old eye-strainingly distorted text: all that most users will have to do is tick a box, while some will be presented with a challenge that involves clicking on images of, say, cats or trucks. See this blog post for more details. No CAPTCHA reCAPTCHA is in use on several Zipfish sites already, and we'll continue to replace the older type on others over time. If you'd like your site upgraded to No CAPTCHA immediately, please get in touch. NoNumber Joomla! extensions are the work of Dutch developer Peter Van Western, and in our experience they're among the most useful and reliable available. 'Sliders' in particular is indispensable on sites where a lot of information needs to be crammed onto the page, keeping the main points 'above the fold' even on small screens.